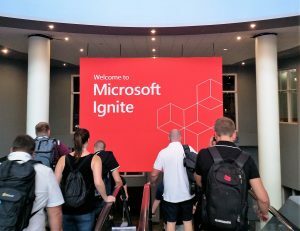 Man muss mittlerweile nicht mehr die weite und kostspielige Reise zu großen Microsoft-Konferenzen wie der Ignite 2018 auf sich nehmen, um was zu lernen. Von der Veranstaltung in der letzten Woche in Orlando (Florida) gibt es inzwischen die meisten Vorträge als Videoaufzeichnung. Ein anderes Problem ist allerdings die enorme Zahl an Sessions: Laut Microsoft-Katalog waren es gut 600, andere sprachen sogar von 1500. 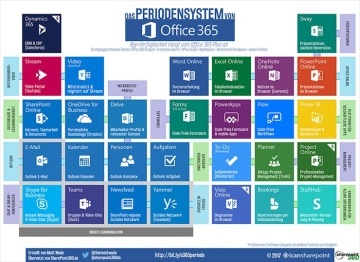 Die wichtigsten Vorträge rund um die Themen SharePoint, Office 365, Teams und OneDrive habe ich hier mal zusammengetragen. Microsoft hat versprochen, nach und nach alle Aufzeichnungen frei zugänglich zu machen, allerdings fehlen immer noch etliche Videos. Hier brauchts also teilweise noch etwas Geduld. Wie schon in den letzten Jahren gibt es wieder ein PowerShell-Skript auf Technet, mit dem man alle Videos in einem Rutsch herunterladen kann. Per Parameter lässt sich dabei auch selektieren, um die vielen Gigabytes an Downloads einzugrenzen. Jeff Teper: Modern content management and collaboration is essential to driving productivity and innovation in today’s workplace. Successful organizations are embracing this opportunity by leveraging SharePoint and OneDrive to empower people to share and work together, inform and engage employees, harness collective knowledge, and transform their business processes. During this must-see session, Microsoft Corporate Vice President Jeff Teper will share the latest innovations and roadmap for content management and collaboration across Microsoft 365. Lori Wright, Jeff Teper: We’ve seen the impact teamwork has had in our world. But what if teams could achieve even more? With Microsoft 365, we can help teams work better together, communicate and collaborate more dynamically, and ultimately, accomplish results faster. Join Lori Wright, General Manager Microsoft 365, as she unveils exciting new capabilities that enable modern teamwork. 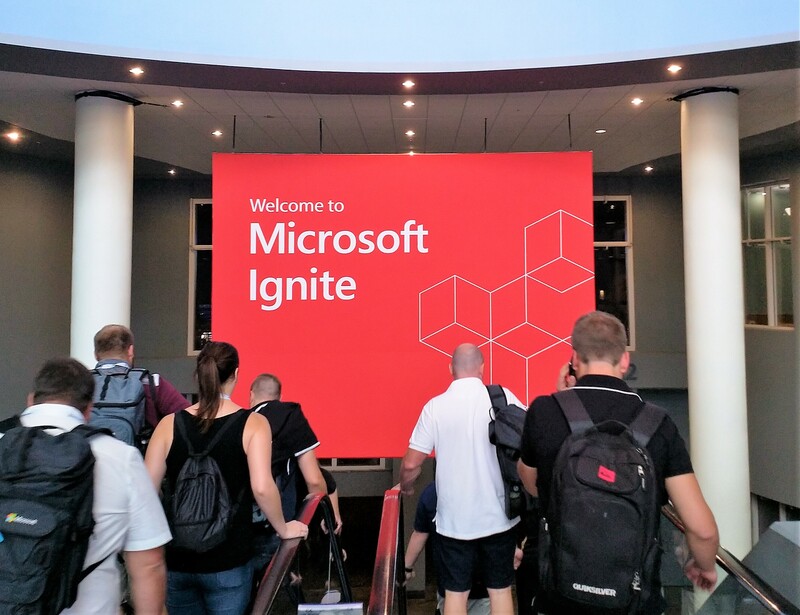 In this action-packed session, see the latest advancements in Microsoft Teams, Yammer, SharePoint, and Outlook to name a few. Learn from customers who have transformed the way they do teamwork and have valuable insights to share. Most importantly, discover how you can use Microsoft 365 in your own organization to empower teams to achieve more. In 2017, we released over 100 new features and functionality to OneDrive. In this session, we cover the new and upcoming features as well as understand the investments we are making today and how this new functionality can affect you. We demo the latest features for Windows, Mac, Web, iOS, and Android as well as share our upcoming feature roadmap. Microsoft Teams is one of the most exciting and dynamic apps in Microsoft 365. Built on the strength and scale of Office 365, Microsoft Teams delivers chat-based collaboration, meetings, calling, and a full range of enterprise voice features – all underpinned by the Microsoft Graph. Join us as we showcase some of the big feature innovations we’ve made in the last year, and give you a sneak peek at some of the exciting new innovations coming to Microsoft Teams. This demo rich session will highlight the best Teams has to offer! 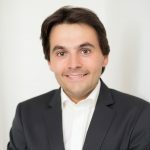 BRK2136 – SharePoint innovations for intranets and portals: Live on stage! As we announced at SharePoint Conference, we are making huge investments in SharePoint lists. Join us to hear why SharePoint lists is the tool that all SharePoint users should have in their toolbelt to organize their data into the structure they need. Join us as we build a divisional portal live on stage! We’ll showcase best practices for planning and organizing your intranet with SharePoint hub sites using Microsoft’s own intranet as an example. We’ll walkthrough how to create hub sites and setup site designs for your hub. We’ll highlight out of the box features for aggregated activity, shared navigation, theming and search across a set of sites. Want to see how you can stay productive on the go – today – across iOS and Android? We walk through all the core use cases for accessing sites, content, news, people and search — with tons of demos! Install the app pre-session and try it on your own device as we present: aka.ms/getspmobile. Learn the best practices for getting more engagement from SharePoint, based upon the learnings from our service telemetry data. Hear directly from the SharePoint data science team on what works best. We look both at metrics you can use to drive success in your organization and see demos of the best practices in action. Ever wonder what „intelligence“ really means? We go behind the scenes and explain what we mean by intelligence in SharePoint – with concrete framing and real-world examples. Get the right news and announcements to the right people at the right time. Tell your story with compelling content including video and dynamic data from Power BI. Then distribute and promote your news to your audience across SharePoint, Teams and Yammer, and across devices. Learn how SharePoint news can transform the way you keep your team, department, or organization informed and aligned. Explore the core tenets of platform security, secure access and sharing, awareness and insights, information governance, and compliance and trust in SharePoint, OneDrive, and Microsoft 365. Join us for an overview of the SharePoint landscape. We’ll show you how to extend SharePoint by adding tools and customizations that every team wants – everything from small branding tweaks to full-collaboration applications. We’ll also share real-world examples of great SharePoint design from across our global SharePoint developer community. If you’re a developer looking for tips & tricks, or a site owner looking for new ways to increase engagement, this session will offer you the inspiration and information you need to go and get started. This is a session for SharePoint ‘makers’. We’ll walk through the creation process of making one full-fledged solution using SharePoint. This will be a deep dive, including tips and tricks for building composite applications and solutions based on SharePoint’s numerous no-code extensibility mechanisms and will include Flows, PowerApps, WebParts, list-view row formatters and more. Every app works with and stores files in some form or another. Learn everything you need to know on how to read, write, and extend files within OneDrive and SharePoint, including the latest enhancements made to the Microsoft Graph APIs. This session will take a deep dive into how you can modernize and enhance SharePoint Designer workflows with Microsoft Flow and approvals. We’ll take an up-close look at Microsoft Flow capabilities and how they map to SharePoint workflows, showcase real-life customer scenarios on Microsoft Flow, and discuss where the Flow + SharePoint integration is headed. In this session, learn how to make an educated decision on what to migrate and how to migrate from various environments into SharePoint Online and Microsoft OneDrive. We discuss existing migration methods available and introduce the latest tools created to make the transition easy. Whether you are preparing your on-premises environment or trying to future proof your current portal in Office 365, come to this session to learn the best ways to move your existing investments in SharePoint to modern experiences and frameworks. Office is the tool for teamwork no matter where you are or what device you’re using at the time. This session focuses on how Word, Excel and PowerPoint enable digital transformation through: working in the cloud by default; bringing people, content, and conversations together; staying up-to-date and in control; and a streamlined design optimized for collaboration.